The Best Remote Access Software Provider Out There! In life, there are things where we think we could not live or do certain tasks without until certain products or services are invented to prove otherwise. A remote access is one of those products. This technology will make you believe that accessing one's computer is possible even if you aren't physically in front of it. A Remote Access has become an invaluable tool dedicated to maximizing business efficiency and productivity. That's why more and more businesses are starting to add this technology to their organization's system and functions. However, finding the best remote desktop connection provider can be pretty challenging. That's why in today's article, we'll show you why Itarian Remote Access is the best remote desktop connection provider out there! Remote Access is a technology that allows users to use any remote computer virtually from another computer. Usually, remote access can be achieved if both of the devices use the same network, or are connected to the internet. Once the connection is established, the users can now use the remote desktop connection as if they are sitting in front of it. From there, they can have unrestricted control over the mouse, keyboard, or basically the entire computer. They can also the screen of the device they've connected to. Furthermore, they can perform the tasks a person who is physically in front of the computer can. They can manage apps, run programs, and even fix troubleshoot issues. To provide a clearer picture of what windows remote desktop is, imagine yourself trying to beat a deadline for a specific key project. You can't do all the work at your office but you need to use your office computer to finish the given task. With remote access, you can still work on your office computer even from the comforts of your own home without taking your office computer with you. Itarian Remote Access is one of the newest yet one of the most efficient windows remote desktop providers out there. Not only does it come for free, but it serves a myriad of people and industries that need a remote desktop connections manager in their work functions. IT professionals - Itarian Remote Access provides windows remote desktop to IT organizations that serve a wide range of clients not only on a local level but on a global scale, too. This software enables IT to help pros fix any IT-related issues from all parts of the world, making their work more accessible and available. Customer support representatives - Instead of just talking to their clients on the phone, Itarian Remote Access allows customer support reps take their service on a whole different level. With this software, they can access their clients' computers remotely, walking them through the entire tech process. This lessens the number of misunderstandings between the reps and the clients since live virtual interaction is available. Managed Service Providers or MSPs - Itarian Remote Access helps Managed Service Providers or MSPs to solve clients' problems immediately. With the help of the remote desktop connection it provides, MSPs can be sure to manage these issues anywhere at any time. 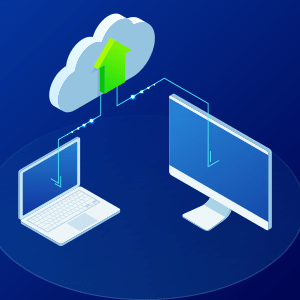 Personal use - Even if you're just an ordinary device user, remote desktop connection can still be a relevant technology to your everyday functions. If you use multiple devices at the same time or if you support your loved ones' devices remotely, then you might want to consider acquiring Itarian Remote Access. After all, it's for free, so you won't lose anything. What are the Standout Features of Itarian Remote Access? Organized interface - Itarian Remote Access gives you the most natural and easy-to-use remote desktop connection experience you can have. Since it has a simple yet organized interface, it allows you to connect to a remote device with such ease and comfort. It also prevents you from getting lost in a heap of tools that are aren't easy to use and understand. Secure Remote Access System - The good thing about Itarian Remote Access is that even if it does come for free, it doesn't compromise your own device's security. This software offers extremely b video encryption by default via Secure RTP protocol. Simply put, it prevents any unwanted third-party recordings of confidential and sensitive interactions between you and your client. Best Fit - "Automatically adjusts the screen resolution for the best visual experience." Scaled - "Displays the target desktop with the resolution of the admin computer." Original - "Displays the target desktop at its own resolution." Full screen - "Displays the remote desktop in full-screen view." Standard technologies and protocols- Itarian Remote Access uses industry standard technologies and protocols to eliminate the need to configure your firewall settings first. This feature allows you to connect to a device with ease and comfort. Auto update - Itarian Remote Access ensures that you're always up to date with its latest features. If you're considering to add a remote access to your organization's functions, then Itarian Remote Access can for sure, help. We ensure to offer you quality windows remote desktop to maximize your business' efficiency. If you want to know more about the product, or just remote access in general, then give us a ring, or subscribe to our email so you won't miss out on all of our updates. Does Remote Desktop Connection Information is helpful?